Buy Vego Vegolino Fine Nougat Pralines 180g in the UK from our online shop or directly from our independent Scottish store. Vegan Pralines made by ever popular brand Vego Chocolate. Fairtrade and Vegan! Tasty vegan and fairtrade pralines. Ideal for a gift, for travelling (don't leave in a hot car!) or for just something nice with your fairtrade tea! We sell real Vego and other Chocolate directly from our shop in Scotland and online throughout the UK. View more products from Vego. Where can you buy real Vego Praline safely online? If you are wondering where you can buy Vego Vegolino Fine Nougat Pralines 180g safely online in the UK, then shop with us. 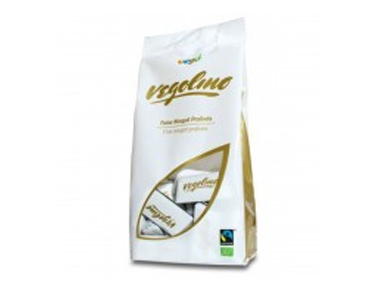 Vego Praline - Vego Vegolino Fine Nougat Pralines 180g in Chocolate and Confectionery.